Keep yourself updated by reading out our latest articles on ongoing cricket series and cricket issues. We aim to provide the best quality article and blogs to keep you update. Thanks for visiting! The first victory for the RCB as Kohli and Devilliers put up a brilliant cricket show while chasing. 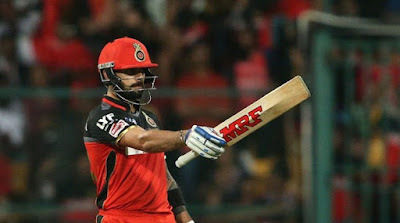 Finally, RCB earned 2 points in VIVO IPL 2019. It is 1 out of 7 now for the Banglore and, they need more. The match was held in Punjab Cricket Association Stadium, Mohali. RCB won the coin toss and asked KXIP to bat first. The universal boss of cricket looked to blast from the start as he scored 99 off 64 balls. Except for Gayle, no one entered the 20s. Some brilliant bowling from Navdeep Saini and Moeen Ali held things back for Banglore. Moeen Ali only went for 19 runs in his 4 overs spell and picked up the wicket of Sam Curran. Punjab managed to score 173 for 4 in their 20 overs. It wasn't a big asked for Royal Challengers but, winning pressure was always there to put things off. They lost their first wicket for 43 when Parthiv Patel was out by scoring 19 off 9. That was the time to show depth in the game and, that's exactly what cricket master's Kohli and Devilliers did. 85 runs partnership between these two put Banglore in a strong position. Virat scored 67 off 53 balls and was out by playing a pull short to Shami, caught by Murugan in the deep mid-wicket. On the other end, Super Man AB held his nerve and finished the job. His Vilscope of full-toss was as classy as ever. 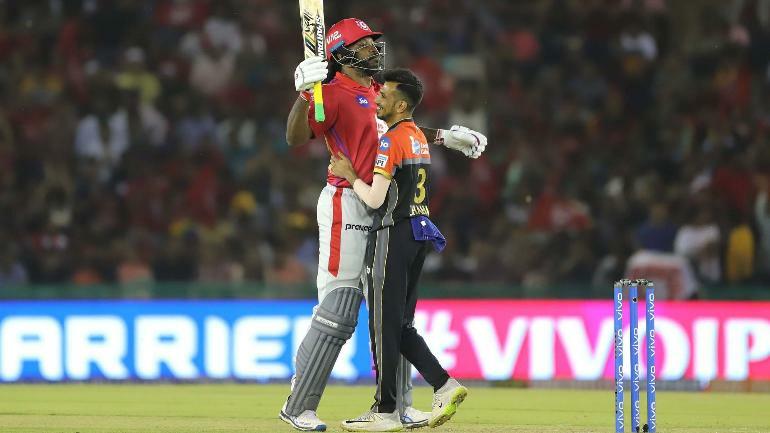 He scored 59 off 38 balls. Royal Challengers steal their first win by 8 wickets with 4 balls to spare.